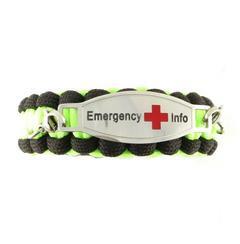 The paracord Emergency survival ID bracelets are designed for durabilty and safety. This emergency bracelet is made of super durable cord that could be used for tourniquets, securing, splints, trapping, fishing and dozens of other survival uses. The built-in whistle on the buckle is an immediate way to call out for help. Another plus to the paracord ID bracelet is the metal does not touch your skin. Ideal for those allergic to metals! 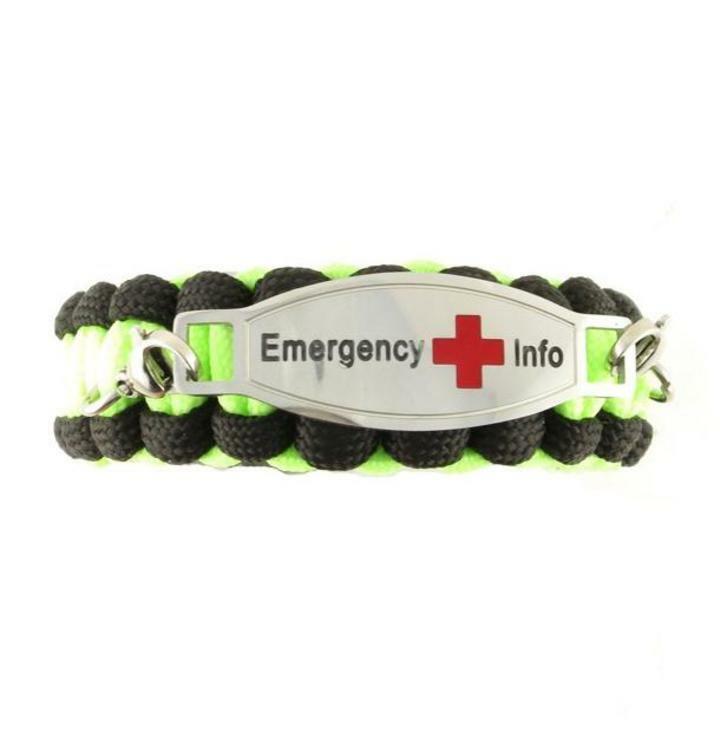 Keep you and your loved ones safe with our Emergency ICE paracord bracelet which can also be used for a medical id alert bracelet.